The circus will make its rounds next year minus one of its biggest attractions - Mrs. Ella Milbauer, the "Fat Lady", who has come home to Montello to live in retirement. And the circus will have a tough time replacing Ella - gals who tip the scales at 586 pounds, as she does, aren't to be found easily. The Tribune photographer visited Mrs. Milbauer and her husband (shown with Ella in this picture) at their trailer home on the lot next to the old Carrie Gruhlke home on Doty St. Mrs. Milbauer (Known in the circus as Ella Mills) to be a lively, bubbling smiling personality - "586 pounds of good nature" would be the right phrase. "This is really a homecoming for me," she said. "I lived here in Montello when I was a kid. My name was Ella Grahn then and I've still got a lot of relatives left in these parts." She reeled off names I'd heard by the dozens - like Fenske, and Welke and Hartwid - that were among her relations in the Montello area. Ella was also a member of the first class to be confirmed in the present Lutheran church -back in 1914, that was. "I sure would like to see some of my old friends and classmates," she said, "I went to school here when I was 12 or 13 years old (I'm 62 now), and I know I'd remember my friends." Mrs. Milbauer started with the Big Top shows back in 1956 and since then has seen most every corner of the country. She and her husband, 80, a retired street car conductor, maintained a home in Milwaukee, but spent most of the year traveling in their house trailer pulled by a car which Ella drove herself, sitting behind the wheel in a special cut-back seat which allowed her to get behind the wheel. The Milbauers decided to retire just this year and after a few months spent at Lawrence Lake, they chose Montello. They moved here last week with two trailers, their well-traveled circus trailer, and a brand new 52-foot house trailer which will soon be placed on a cement foundation. "We're glad we came here," Ella said. "I liked Montello when I was a girl, and I like it now. It's a nice friendly little town." 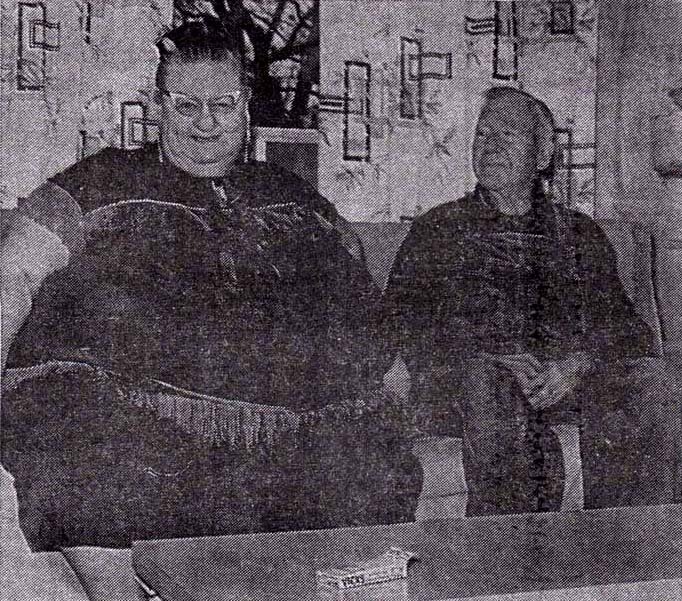 And as for Montello - well I know that the town will find Ella to be a nice friendly person - but at 586 pounds, certainly not little.